Every day we see the important link between feedback and teamwork. Teams and leaders quickly get interested, engaged and focused when we share survey results with them. Shared goals are necessary for good teamwork and this proves true every time we bring teams together to look at their survey findings. 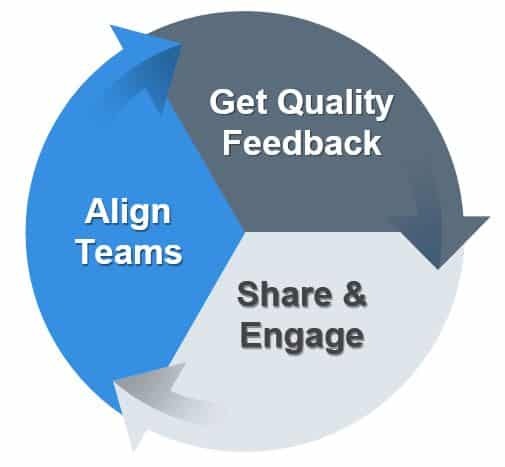 Getting and sharing quality feedback leads to engaged & aligned teams. Are you using feedback as an engagement tool? Evidence suggests that great leaders are attuned to what people around them are thinking. They take the time to seek out the views and opinions of others and to share those views to develop deeper insights. Despite this, many leaders are not taking a disciplined approach to getting and sharing feedback. So, are you engaging your team enough? Here are a few questions to ask yourself along with some tips for success. Ignite your team’s performance and drive it to a new level! How is your team performing? Are you getting the feedback you need? Here is an opportunity to find out what your team is doing well and identify the actions needed to accelerate performance. The process brings people together with a specific common purpose and creates an opportunity to engage, align and motivate them. Focusing on survey data reduces the impact of individual personalities. It gets people discussing the data rather than personal differences. Giving people a chance to share their views and listen to other points of view, with supporting data, can result in more productive discussion. Clarifying points of agreement reduces potential conflict. Usually there are many more points of agreement than disagreement and this puts the differences into a better perspective. Differences of opinion can be clarified and discussed. Again, the focus is on the data and survey responses rather than personal positions. 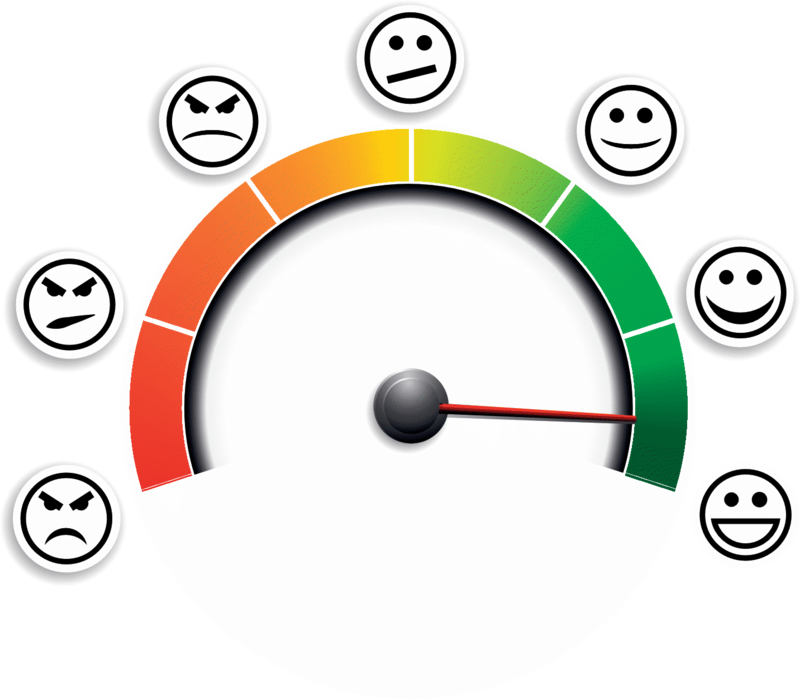 There is a compound effect that comes from reviewing feedback. Feedback can lead to deeper discussion, refinement of ideas, development of further ideas and agreement on solutions. Taking individual ideas or feedback and using the power of teamwork to make them great ideas. Presenting and discussing feedback clarifies issues and leads to agreement on decisions and action plans which create common goals for the team. Are you seeking feedback & ideas to help make decisions? Based on our research, we know that not enough teams and organizations are getting the feedback they really need. Often, leaders just don’t think about it. Or they don’t make it a priority. Most people like the idea of getting feedback. However, many things get in the way, including lack of time, expertise, tools and resources, along with other priorities and budget constraints. And, sometimes, people avoid it because they fear what people might have to say. Leaders often make decisions and act without seeking feedback and ideas from those who have valid contributions that should be considered. This can have several consequences. People with important ideas may not feel valued. And, without their contributions, poor decisions may be taken. People are then unlikely to be aligned and committed to the decisions. Is feedback leading you & your team in the right direction? When people do seek feedback, we see several common mistakes. 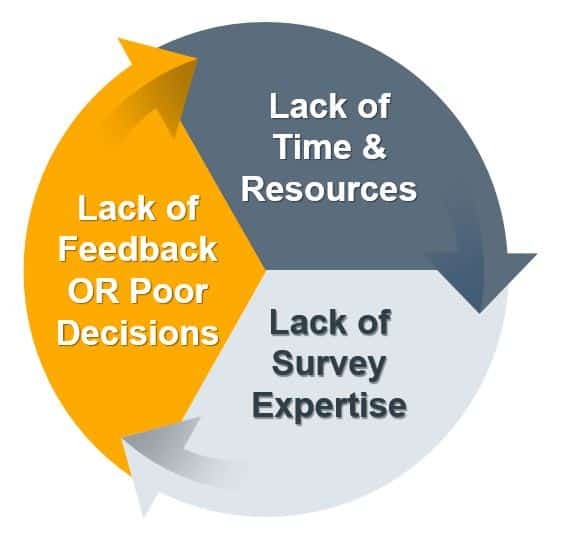 Three major pitfalls include poor survey design, not creating the right context to get feedback and alignment around the wrong goals due to a poor feedback process. There is a real skill in designing a good survey. 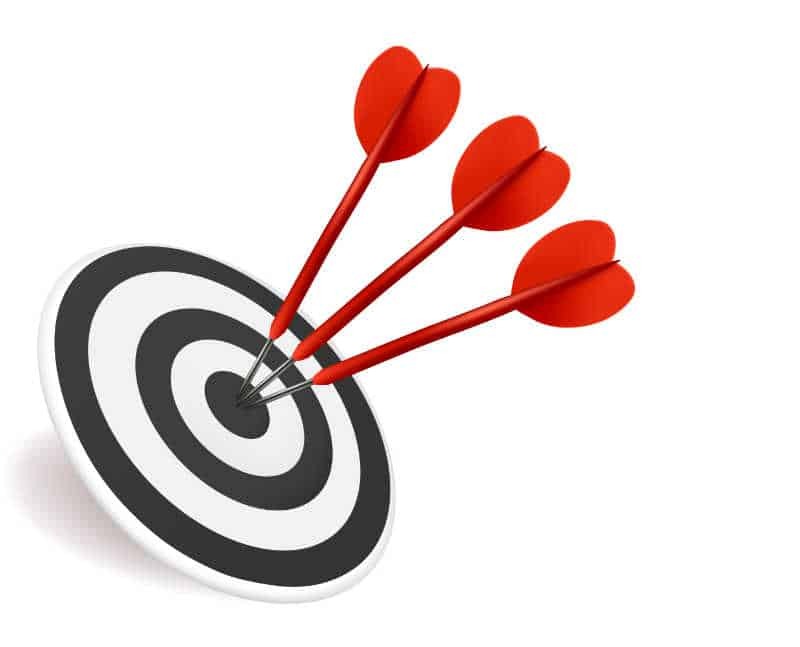 Typically, a poor survey starts with failing to establish clear survey goals and objectives. And, this leads to bad design which can have significant adverse consequences and result in poor decision making. Good survey design and survey process are essential if you want to get quality feedback. To get valid feedback, you must create the right conditions to encourage people to share their true thoughts, feedback and ideas. Otherwise, you won’t get the information and ideas that you really need. Or, people may tell you only what they think you want to hear. Think carefully about the aims and the survey policies, including anonymity, and craft your messages carefully. Invalid feedback, answers & ideas leads to poor decision making and alignment around the wrong goals. The “garbage in = garbage out” principle applies. Clear goals, quality survey design and creating the right context are essential for success. Have you got the expertise & processes to get the quality feedback you need? Don’t be misled. Managing a survey is complex. To get valid feedback, you need an effective process and some survey expertise. To run a successful survey, you need the right tools, including survey software. Otherwise, the process can be very inefficient and time consuming. And results can be compromised by poor process. That’s where Spark Chart helps. We developed Spark Chart to overcome the constraints to getting, and sharing, valuable feedback and ideas. The survey structure and questions are crucial to getting valid feedback. Despite this, the most common pitfall we see is poor survey design. Designing surveys requires specialist expertise. So, start with clear goals, ask specific & relevant questions and run a pilot before rolling out a survey. Another pitfall is failing to create the right context for survey respondents. You should craft the messages carefully and then communicate more than you think you need to. Once you have the survey results, consider whether you have the expertise to analyse and facilitate the sharing of the results. 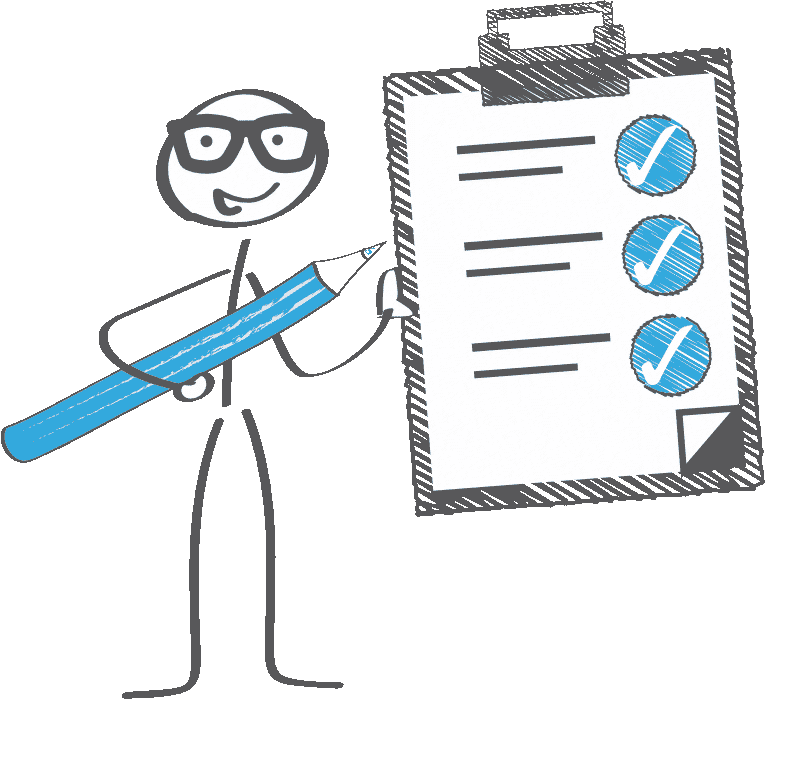 Depending upon the complexity of the survey needs, specialist expertise may be needed to create a survey, manage the project, analyse the results or facilitate the presentation. How could YOU use feedback to engage & align teams? There are unlimited opportunities for leaders, teams and organizations to get feedback. When asked, most leaders mention customer surveys and employee surveys. But they often don’t think about many other valuable purposes. Our advice is to take a disciplined approach to feedback and to consider it an essential tool to engage and align teams.